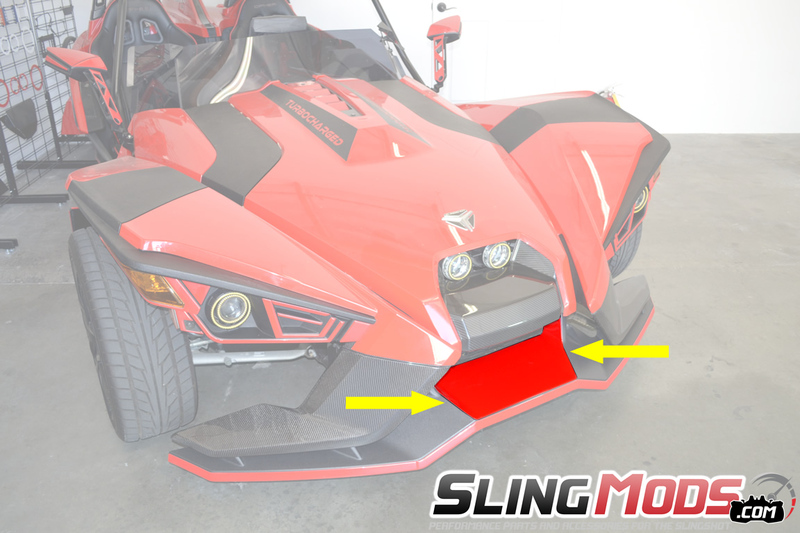 The Polaris Slingshot factory front lower wing lacks color and can look bland. 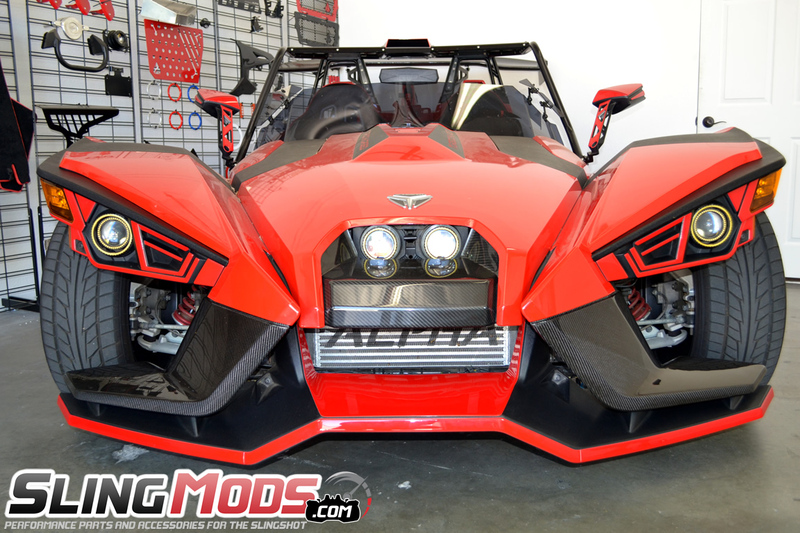 We've partnered up with Tufskinz to develop this Peel & Stick Center Accent Kit to pop some color and set your Sling apart from the rest of the pack. 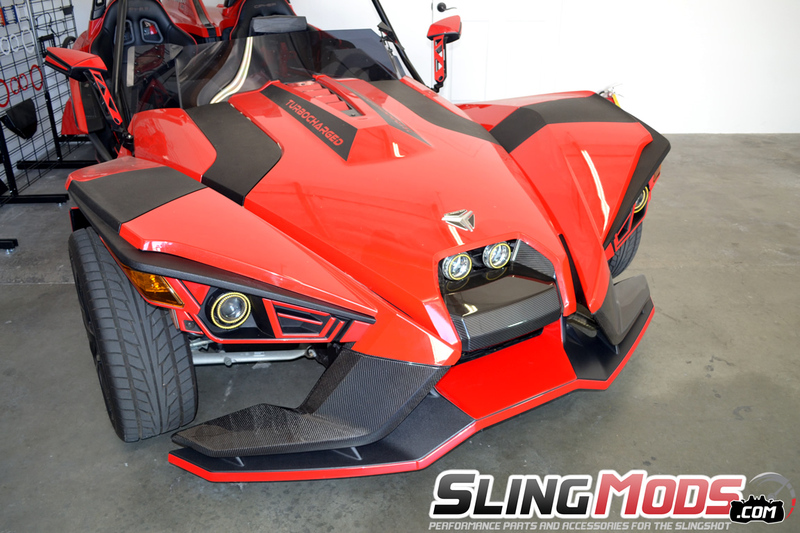 For those of you that use products like Armor All or similar cleaning products to clean your Slingshot, please make sure you fully remove any left over residue on your plastics before applying the Tufskinz product, as the residues will deactivate the 3M adhesive. Please be sure that you thoroughly clean the front side of the Splitter with an alcohol prep pad and insure that the Tufskinz material and the panel you're adhering to are between 72-110 degrees fahrenheit before installation for maximum adhesion. Does anybody make a stick on with the 2.4 liter or 2400 CC info on it? I see the ones around hood "intake" which say Turbocharged. Reason I ask is several times while gassing up a group of Harley riders will come up and ask what's under the hood. They are normally wowed by the 2.4 packed in there! That's without turbo. I'd buy the kit just to avoid having to raise the hood! Hey, all muscle cars tout their engine size...just sayin' I would be more interested in the "2400 cc" because its marketed as a motorcycle. We don't have a tufskinz kit that does this, but we do have kits available through SlingFX that offer custom text where you could put 2.4 Liter or 2400 CC, or whatever ever clever saying you wanna go with! I will one link example below for you that would be easy for other riders pulling up next to you to see what is under the hood! Let us know what you think!